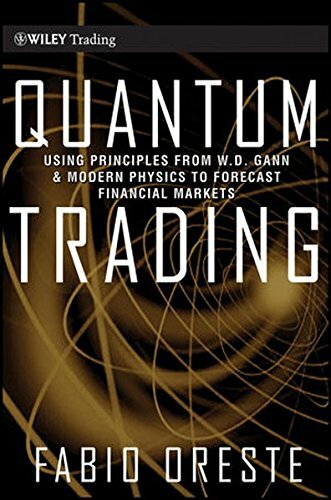 Original and thought-provoking, Quantum Trading presents a compelling new way to look at technical analysis and will help you use the proven principles of modern physics to forecast financial markets. In it, author Fabio Oreste shows how both the theory of relativity and quantum physics is required to makes sense of price behavior and forecast intermediate and long-term tops and bottoms. He relates his work to that of legendary trader W.D. Gann and reveals how Gann’s somewhat esoteric theories are consistent with his applications of Einstein’s theory of relativity and quantum theory to price behavior. While no trading approach is perfect, the techniques found within these pages have enabled the author to achieve a very attractive annual return since 2002. See what his insights can do for you.